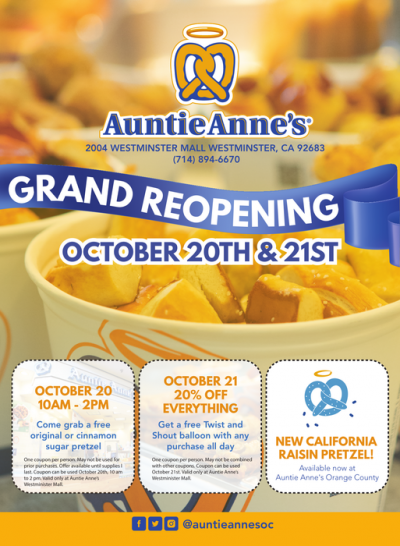 Auntie Anne’s is a perennial food franchise that is known for their quality pretzels and lemonade. Their success in the industry is apparent as they have become a reputable brand for pretzels. First, we had created a new landing page for a Auntie Anne’s franchise. Next, we created a newsletter and conducted product photoshoots. Lastly, we leveraged the franchise’s social media platform to orchestrate a social media giveaway. In conclusion, the ending result was a stunning new face for their website along with a fortified marketing effort.